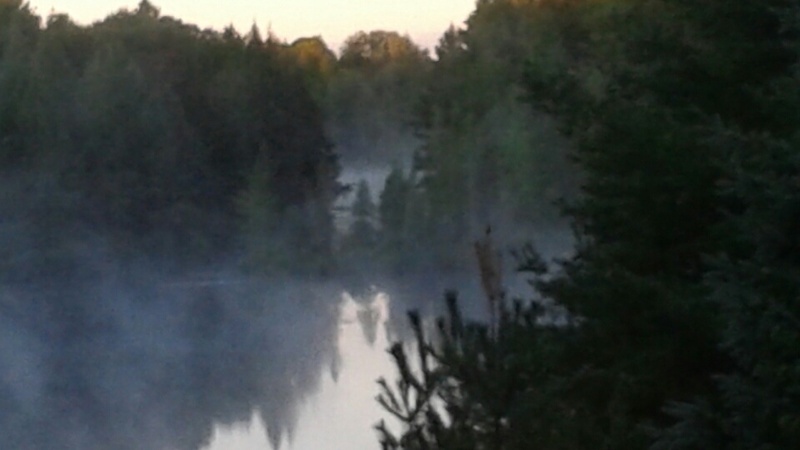 Morning may find you enjoying a steaming mug of your favourite brew as you dreamily watch the soft mist lingering lovingly over the lake. After a delicious continental breakfast in your cottage, you take a leisurely stroll to the lawn. A slow, mindful yoga practice leaves you calm, relaxed and tingling with energy. The warmth of the sun, cheerful crickets chirping and happy birds singing help to melt your cares. 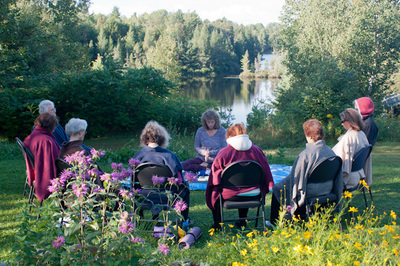 A gentle breeze flutters through the treetops and your hair as you linger in the final resting pose of your practice. After yoga, you may choose to dive into your favourite book, or into the lake for an invigorating swim. 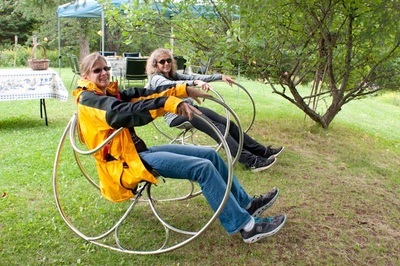 Or maybe team up with a companion or two for a brisk hike or quiet stroll around the lake. When you return, your senses are heightened as they catch the tantalizing scent of the mouth-watering lunch prepared by your hosts. You join your companions for an open-air luscious feast for the palate. The afternoon is leisurely, and you may join a group relaxing and restoring deeply with Restorative yoga. 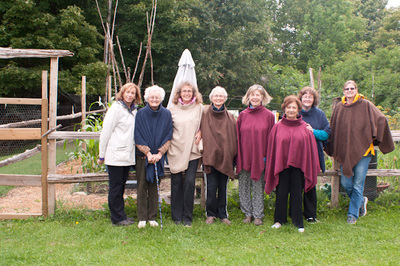 This deeply healing and rejuvenating practice quiets the mind and calms the body. After cocktails and another delectable meal in the early evening, thrill to a night under the twinkling heavens. A crackling campfire on the beach offers the musky scent of wood smoke, wafting over the still night air. 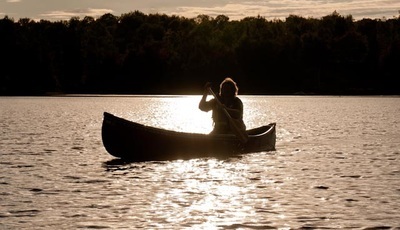 Silently glide through the moonlit waters in a canoe as you soak up the rapture of a million shimmering stars. Or joyfully join in a rousing chorus of your favourite campfire songs in the cosy Pixie Hut. Your first day has been filled with happy adventure, succulent food, new friends and old friends, and you’ve stretched and relaxed both body and mind. Prepare to be lulled to sleep by the hauntingly soothing call of the loons nesting nearby on the lake. And prepare to do it all over again tomorrow. Deeper connections. Practices to sustain and nourish you as you transition back. And memories to cherish for a lifetime. "I feel a new calm and a sense of being able to cope with the challenges that come my way. " 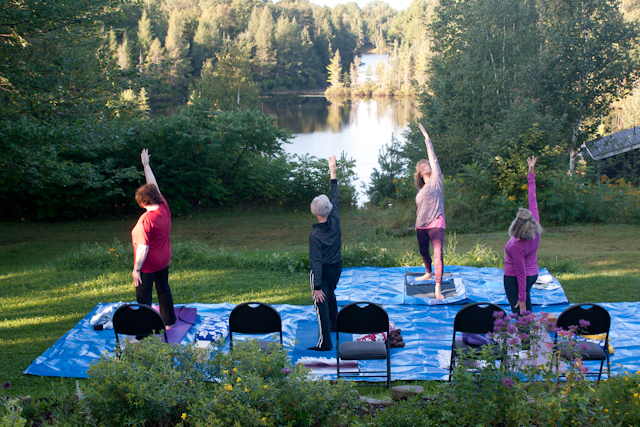 Thank you so much for providing the perfect yoga retreat this summer at Tamarack Lodge! Your yoga, meditation and Reiki was just what I needed, even though I didn't know what I needed. I loved the Restorative yoga that was new to me. I've discovered a whole new level of deep relaxation. It is better than much of my sleep! Doing yoga outside on the grass was a total treat. I felt connected to nature and to the universe. I was as happy as the "happy Buddha" doing Restorative yoga in the yurt! I absolutely loved all of the meals and really appreciate Barbara taking the added time and effort to provide me with citrus and dairy-free meals. The extra activities were so much fun and really added another rich dimension to the experience: the paddling lesson, the astrology presentation from canoes in the middle of the lake under the stars, the sumac cooking lesson, the boules lesson (that I'm sorry I slept through), the campfire songs inside the Pixie hut, and the fabulous drum circle, twice! I came away with a new respect for me, to be conscious of being compassionate towards myself at all times; in my exercise and in my daily life. I feel a new calm and a sense of being able to cope with the challenges that come my way. That's huge for 5 days in Haliburton! ....and I had new wonderful experiences like paddling a canoe in the dark to see the amazing stars and planets in complete darkness...and cooking with sumac, among others. Thank you for working so hard to make it perfect! ~ Sue C.
Do you have days that are a blur? And maybe you’re not sleeping so well because you’re busy rewinding the day. There are so many little (and not so little) things that come up in a single day, from cleaning, appointments, commitments . . . you're being pulled in every direction. You might even have said "I wish there were two of me" (or some variation of that). So many people (in particular women) are constantly feeling on the edge of burnout. "Where do I start? 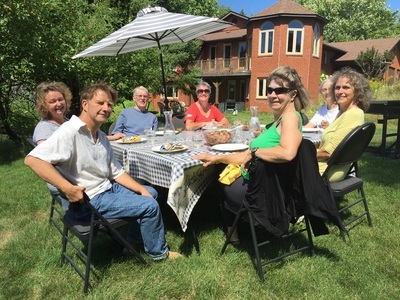 Food, nutrition, warmth, loving care on behalf of hosts and facilitators, conversation, collaborative learning, laughter, joy, healing, the space - canoeing, lake, silence!" ~ Maggie D.
Stay in cosy, well-appointed housekeeping cottages. Relax on a private sandy beach on peaceful Tamarack Lake in the beautiful Haliburton Highlands. Practice gentle yoga and mindful breathing. Relax into Restorative Yoga and Yoga Nidra for better immune function and well-being. Brighten your heart with healing meditation. Develop mindfulness techniques to stay grounded in your daily life. Unwind, explore and connect with nature as you hike or paddle around the secluded bays of the lake. 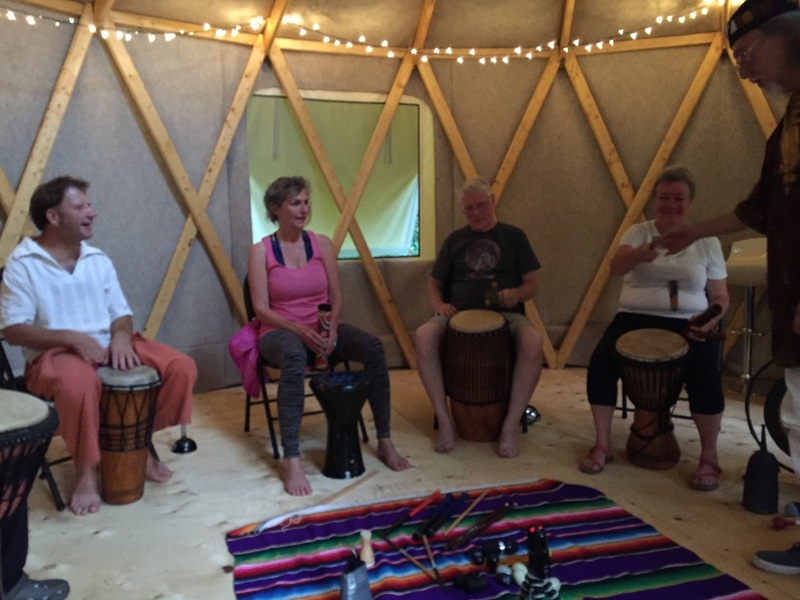 Make new friends and get connected around evening campfires on the beach and singalongs in the Pixie Hut (it’s a treat!). Delight in organic, nutritious culinary creations by Barbara. 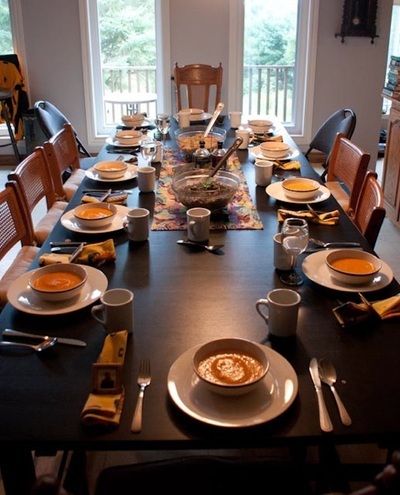 Enjoy continental breakfast in your cottage and communal lunch and dinner. Rekindle your inner wellbeing. ﻿Register Today. ** If there are insufficient registrants to run the retreat, notification and a full refund will be made no later than July 31, 2017. 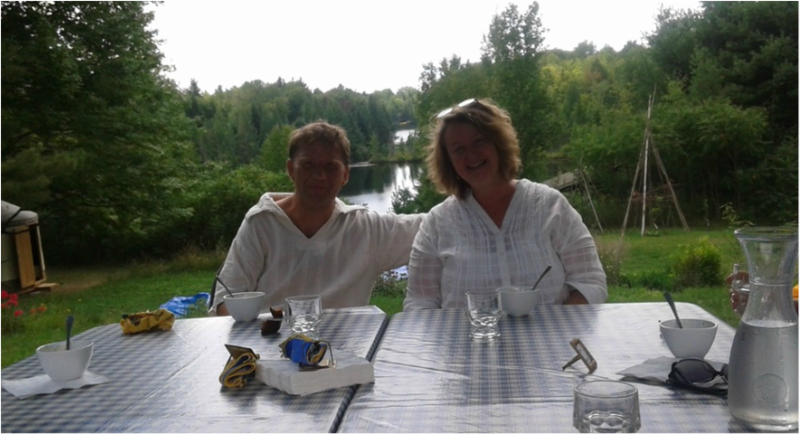 Barbara & Reiner are the owners and operators of Tamarack Lodge, located in the stunning Haliburton Highlands on a pristine motor-less lake. From the organic vegetable gardens, through the woodland native garden, to the sandy beach, the property is an invitation to explore, relax, and delve into natural surroundings. 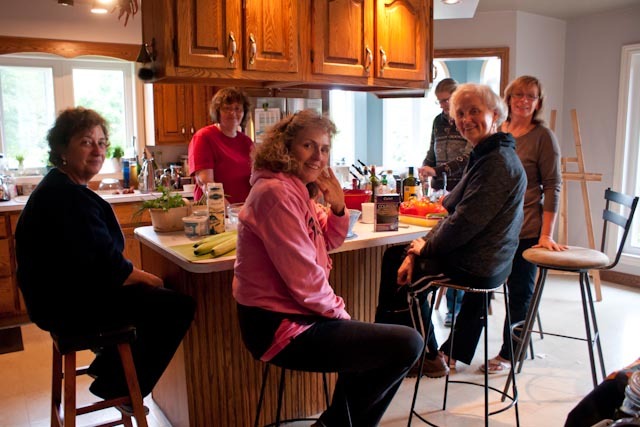 Barbara & Reiner’s passion for the great outdoors is evident at every turn, but they also understand the creature comforts that come with genuine hospitality. Discover Tamarack Lodge Cottage Resort & Art Centre - for whatever enjoying the Highlands means to you! "Loved the night in the canoes under the stars. And the fresh air, the vista, the calming meditation, the food!" ~ Ed. S.
"I loved the yoga in the morning in the fresh air...it was very rewarding. Mega high point was the canoeing with star-gazing - brilliant." 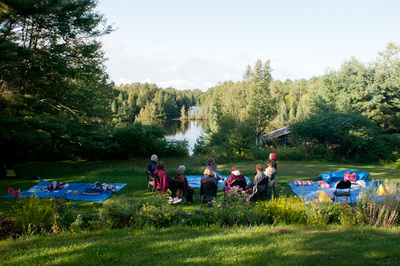 ~ Dawn S.
"The whole retreat was great! 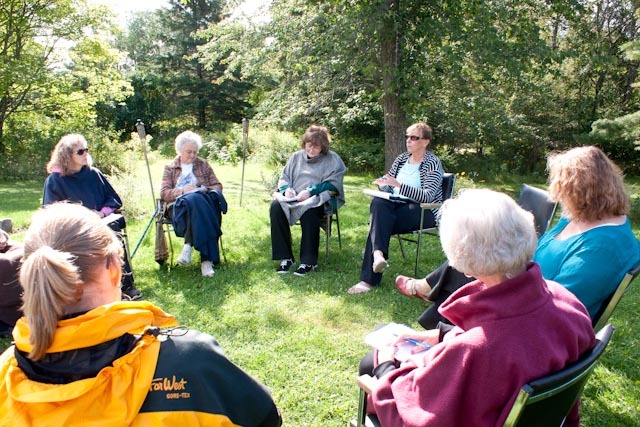 The high point was the easygoing atmosphere of the program. Rewarding yoga and meditation, easy paced and enjoyable. I gained a better understanding of meditation, knowledge about yoga, food, nutrition and cooking." ~ Linda B. "Practising daily meditaiton and relaxation makes it easier and more beneficial. Food was the high point!" ~ Jeanette R.
"Wonderful food! Wonderful people. The high points? Waking up and starting the day with yoga. The campfires and singing." 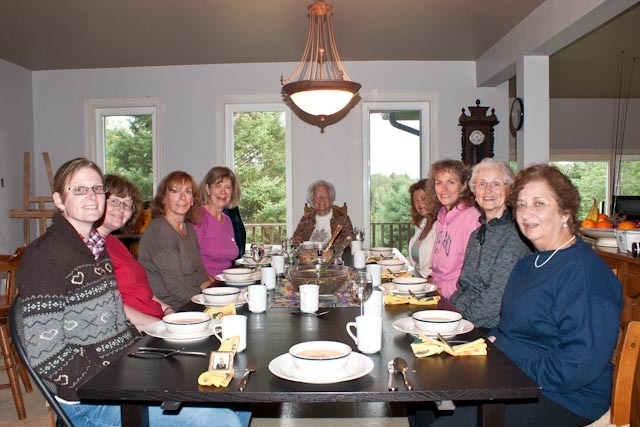 ~ Susan F.
"Loved the yoga, Restorative yoga, meditation, food, nature, cooking! All of it!" ~ Linda B. "I'd like it to be longer. Loved the yoga, scenery and relaxation." ~ Jeanette R.
Today (April 18, 2016) I wanted to share one of my favourite recipe treats, which may not surprise you to learn includes dark chocolate...I don't have any on hand, as they all got eaten, so no picture! (I know there should be a picture so you can enjoy the imagery too - maybe next time if I remember to take a pic before I eat them:). It's such a simple recipe, and no refined sugar, except for what's in the chocolate. There are some wonderful health benefits from each of the ingredients (see below). Remember, though, you can have too much of a good thing! Melt the chocolate very slowly in a saucepan at low heat, stirring to prevent burning. Place one almond in each date. Drop a few dates at a time into the chocolate to thoroughly coat. Spoon out dates onto waxed paper. Drizzle with any chocolate left in the pot. 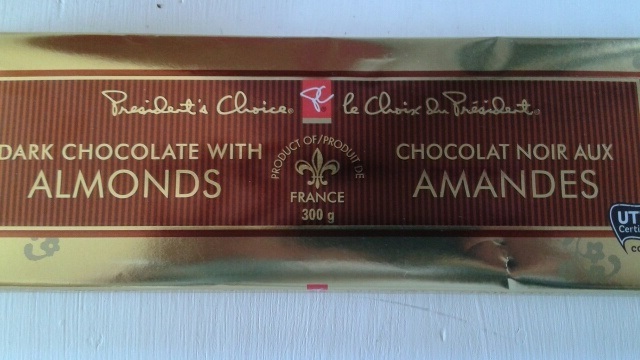 Allow to dry (chocolate will lose its shine) on the waxed paper, then refrigerate. Preheat oven to 300ºF. Line a baking sheet with parchment paper. Spread the pecans on the baking sheet and toast them for 10 minutes until lightly golden and fragrant. Set aside to cool. Now preheat oven to 325ºF. In a large bowl, combine the oats, rice crisp cereal, cranberries, pumpkin seeds, sunflower seeds, coconut, cinnamon and salt. Stir in the cooled pecans. In a small saucepan, stir together the maple syrup, honey, coconut oil, and almond butter or peanut butter. Cook, stirring, over medium heat until the mixture softens and bubbles slightly, then remove the pan from heat and stir in the vanilla. Transfer the mixture to the baking sheet with parchment paper, spreading it out into an even layer. Use the bottom of a glass to press the mixture down evenly throughout the pan. Bake in a 325ºF oven for about 25 minutes. Cool, then slice into small squares with a pizza cutter. Granola will hold together better if kept in the fridge. Cut onions in half, peel them and finely dice. Melt butter or ghee in frying pan. Add onions, thyme or rosemary, and ¾ tsp salt, and cook over medium heat, stirring occasionally, about 25 minutes. The onions will take on a faint golden hue. Remove from heat and allow to cool slightly. Add freshly ground pepper to taste. Whisk eggs with milk and cream. Stir in cooled cooked onions and cheese. Mix flour and salt in a medium bowl. Cut in butter with a pastry cutter, until butter is the size of split peas. Drizzle in ice water until dough is clumpy and damp. Form dough into ball or rectangle, depending on the pan you’re using, place in a sealed container, and refrigerate. Roll dough to fit tart pan, then drape it in the pan. Press the dough up the sides of the pan. Set on a sheet pan, and pour in the onion mixture. Bake until surface is golden and browned in places, about 45-50 minutes. Let cool to warm before cutting into slices. 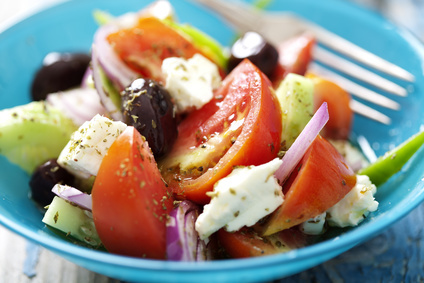 Combine tomatoes, cucumber, pepper, onion, olives, feta cheese and fresh herbs. Shake ingredients for dressing in a small Mason jar with a tight lid until emulsified. Pour over salad ingredients and serve.